Saul Barnard is a woodcutter with a restless soul – he wants to keep strangers away from the Forest and stop the destruction of the Forest. There is also the legendary elephant bull – Old Foot – which broke free from his herd. Old Foot and Saul share a strange bond … In the green duskiness of the Outeniqua they walk on circular paths. Saul Barnard, rejected by his people and humiliated by unscrupulous timber merchants; Old Foot, relentlessly followed by hunters. A man and his animal brother – together in an untouched ancient forest that is being destroyed by gold diggers, woodcutters and other eradicators. Saul follows Old Foot’s tracks, closer and closer to the truth that will change his life forever. 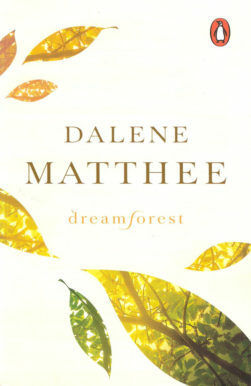 In Circles in a Forest, Dalene Matthee focuses on conservation and strongly speaks out against the reckless destruction of the indigenous forest. She also takes up the issue of the heartless exploitation of those less privileged – the illiterate people, specifically the people of the forest, but not only them. 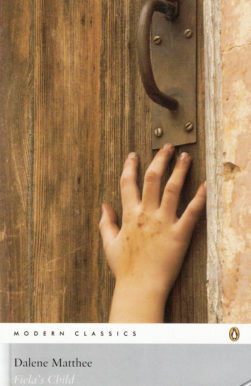 Attitudes and relationships are important underpinnings in her work. Kringe in ‘n bos (Circles in a Forest) has been translated into English, Portuguese, Dutch, French, Icelandic, Spanish, Hebrew, German, Swedish, Italian, Finnish and Norwegian. In 2006, Exclusive Books compiled a list of the 101 Books to Read Before You Die. Only three Afrikaans books were included, among them Kringe in ‘n bos (Circles in a Forest) and Fiela se kind (Fiela’s Child). Philo Pieterse Productions produced Circles in a Forest as a feature film. Kringe in ‘n bos (Circles in a Forest) is available in Braille and on cassette for the visually impaired. 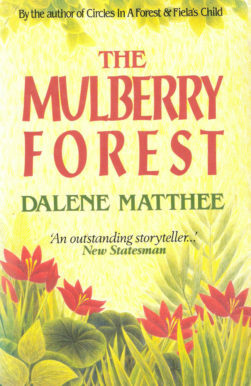 There is a special Circles in a Forest Tour based on Dalene Matthee’s book by the same name. 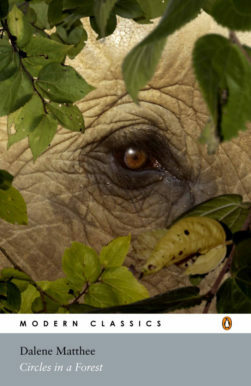 To find more information send an e-mail to forestguidedtours@gmail.com, or call 073 3636 522. Saul Barnard is a unique figure in our literature ... The events grab you to such an extent that you will never drive past Knysna again without thinking about these people and how they suffered.